Many adult and teen patients are deterred from straightening their smile due to traditional braces. Patients want an appliance that is discreet, comfortable, and makes regular bite function easy. At Avenue of Smiles, we offer Invisalign clear aligners to help patients achieve their ideal smiles with ease and maintained smile aesthetic. These nearly invisible trays allow teens, adults, and professionals achieve straighter teeth and a comfortable bite without having to sacrifice the confidence they hold in their smile. Contact our Simi Valley Invisalign provider today to schedule your exam and consultation for invisible orthodontics. At Avenue of Smiles, we provide clear aligners for a number of patients dependent on their personal needs and goals for treatment. One of the most common causes for treatment is to correct the appearance and function of smiles that have previously undergone orthodontics and are in need of additional adjustment after their treatment has lapsed. Patients who have not previously undergone Invisalign will require only mild to moderate adjustments. This clear braces option requires patients to remain complaint to ensure treatment is effective, and patients must wear their trays for 22 hours per day. Many patients find this compliance easy and specialized trays, like Invisalign Teen, even have indicators to show whether younger patients are wearing their trays as often as necessary. Once Dr. Fisher has determined whether Invisalign is right for you, he takes a detailed impression, ensuring that the trays you receive are customized for your ideal comfort when worn. These impressions are sent out and used to create a series of trays that are worn for two weeks at a time, shifting your teeth into proper alignment. Patients using Invisalign will see minimal changes to their daily hygiene routines and diets. These trays are removed whenever brushing and during each meal. This allows patients to continue eating their favorite foods and flossing normally, without having to worry about broken brackets or food particles trapped behind wires. Treatment generally lasts for two years, and leaves patients with a smile they can be proud of. Retainers are then worn to retain the ideal alignment of the teeth. Whether you need minor adjustments to the alignment of your front teeth, or have experienced a lapse from previous orthodontic treatment, contact Dr. Yan Fisher and our team today. 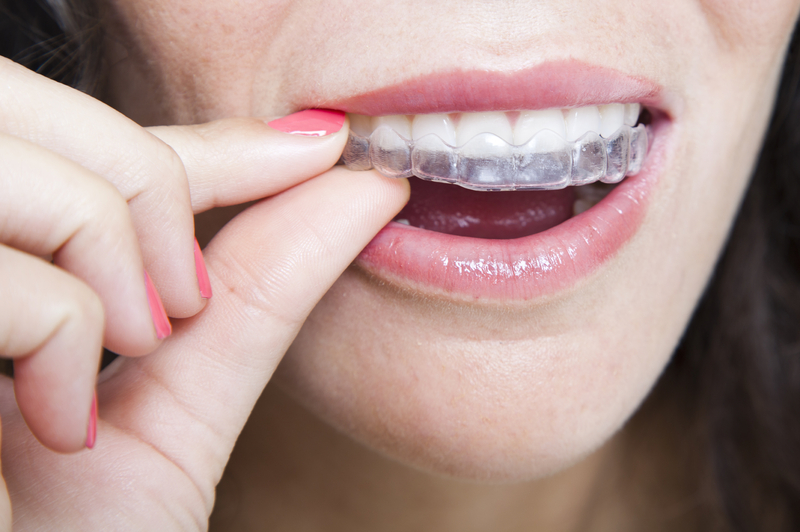 We provide Invisalign clear aligners in Simi Valley to help improve the appearance and health of our patients’ smiles.